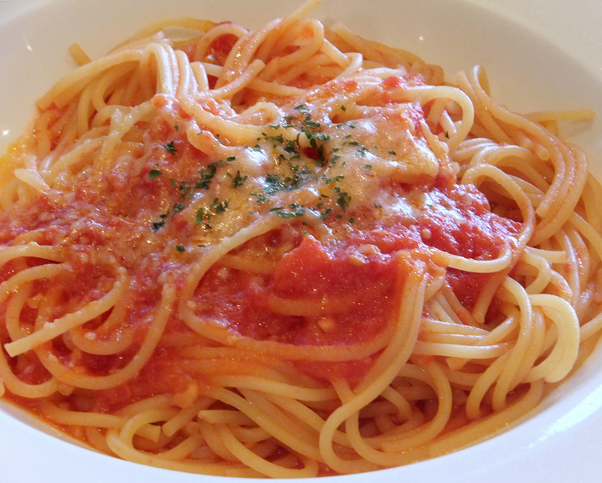 Authentic Italian Tomato Sauce Recipe. Here’s my recipe for Italian tomato sauce taught to me by my grandma. It’s very simple but so tasty. The secret is to make sure you fry the onions and garlic well before adding the tomatoes. It’s such a versatile sauce, good for all sorts of dishes. I make a huge amount most weeks and freeze it in small containers so it’s ready to use. It’s vegetarian too. This recipe serves four with pasta dishes. Chop onions as finely a possible in a food processor if you have one. But don’t turn them into a paste. Add the chopped onions to the pan and fry gently. They are ready when they are become clear. Put a lid on the pan boil for about an hour, never letting it dry out. Add water and stir occasionally if you feel it’s dry. But don’t over do it. When the oil sits on the top of the tomatoes the sauce is ready. Also, it should be a deep red colour. You can zap the sauce in a food processor to make it smooth – kids prefer that. I’m really into adventure travel, which means I look for great holidays and travel opportunities that are both responsible and sustainable. Here are two of my favourite companies. They have amazing local living holidays in Italy where you get to live like a local –that includes learning to cook wonderful local dishes! Click here for details. Or there’s a Real Food Adventure in Italy with Intrepid that sounds absolutely delicious!